Mr. Jakob McCormick, from Bethel Park, Pennsylvania, is currently an undergraduate music education major at Duquesne University. 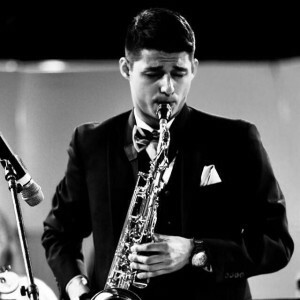 While at Duquesne, Mr. McCormick has played, and still currently plays the Alto, Tenor, and Baritone saxophones in performing groups such as Duquesne’s top Wind Symphony, Symphony Band, and both classical and jazz chamber groups. He is also currently an active member of NAfME, PMEA, and Mu Phi Epsilon. Additionally, Mr. McCormick is also a multi-time deans list honoree, displaying his academic success. Mr. McCormick has had the opportunity to work with, both past and present, massive names in the world of saxophone performance including: James Houlik, Mike Tomaro, and Dr. Keith Young. Mr. McCormick has performed both as a soloist and with various ensembles, including his own band “Intrinsic Jazz,” in several venues across the country in locations such as: Florida, Chicago, Virginia, and all around the Pittsburgh area.